One of the strongest tournaments of the year took off in Moscow. 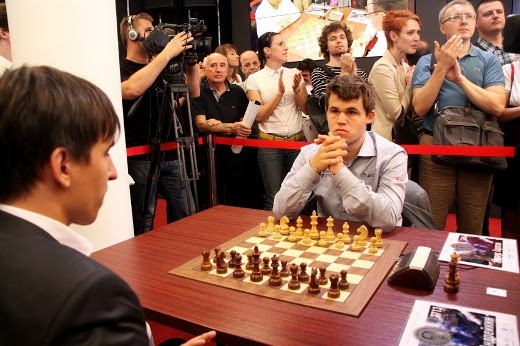 Just like in the previous edition, instead of the usual drawing of lots ceremony, the players’ working schedule started a day earlier, going against each other in a blitz competition to define the starting places in the cross-table. 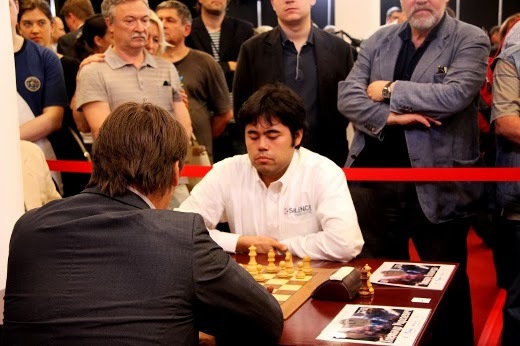 Hikaru Nakamura won this competition and decided to take the fifth seeded position – mirroring Karjakin’s decision in Norway – with the intention of playing both his first and last games with white. The American has been long known for his ability in faster time controls; he dominated the rating lists in various online playing sites, both in blitz and bullet. It might be said that he made a “clean sweep” today, as he drew his games against the strongest opponents and got wins over the whole lower side of the table. 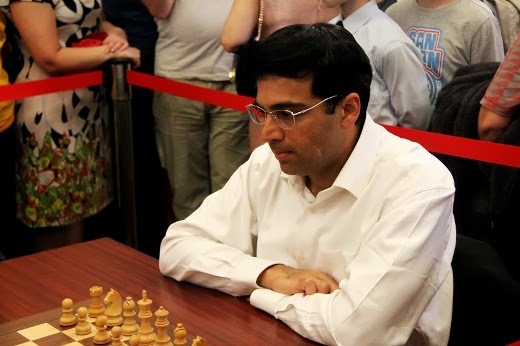 World champion Viswanathan Anand proved once again that age is not an impediment to have good results in these events and arrived second with 6.5/9. 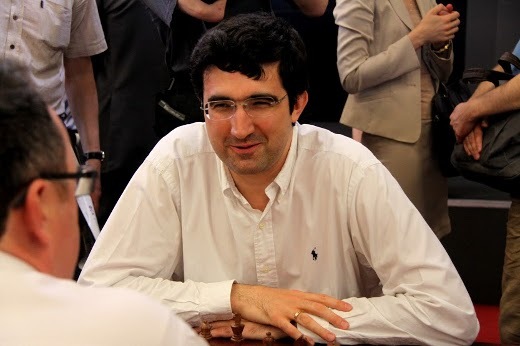 Russia’s number 1 Vladimir Kramnik came third on 5.5, while the fourth and fifth places were shared by Boris Gelfand and Magnus Carlsen – the two latest challengers for the world championship crown. Unlike last year, the players were given the chance to decide what position they wanted to take in the cross-table. 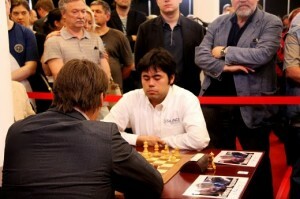 Nakamura chos fifth; Anand second; oddly, Kramnik chose seventh, and so forth. Round 1 pairings. The blitz tournament was played with a time control of 3 minutes for the whole game plus 2 seconds increments per move. It had a separate prize fund of 15.000 Euros. 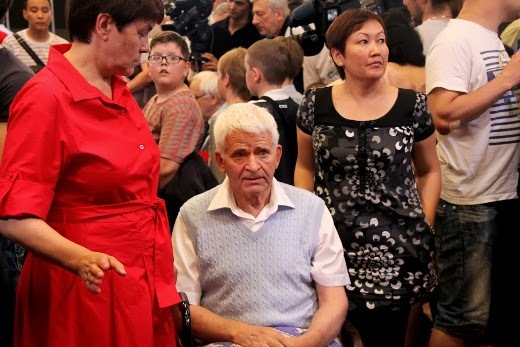 The ceremony counted with the honorable presence of the 10th world champion Boris Spassky, former women’s world champion Alexandra Kosteniuk, and widely know trainer and commentator Sergey Shipov.